The first question many fishermen ask is �when is the best time to come to Costa Rica?� The truth is, it depends more on the quality of the water and food chain than it does the time of year. I have fished in the middle of �slow season� and caught 20 Yellowfin Tuna that averaged 100 pounds each. I have fished the middle of "slow season" and caught a dozen Sailfish before noon. I have also fished in the middle of �high season� and been skunked. 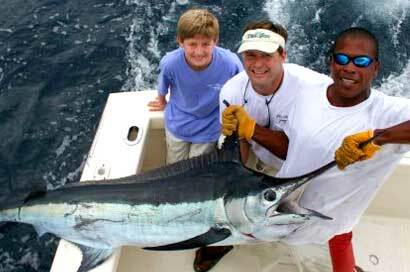 So�when is the best time to come to Costa Rica and catch fish? My answer is usually� anytime you come to Costa Rica you will catch fish.